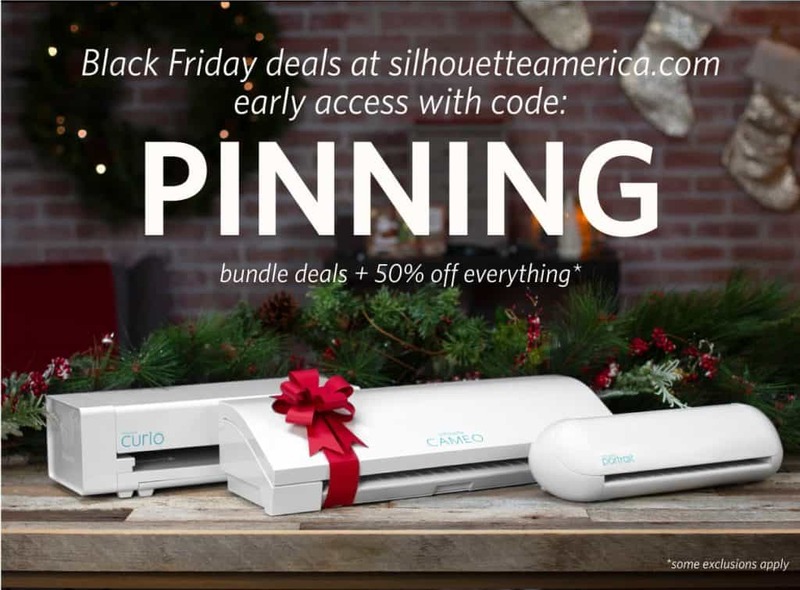 Everything you need to know about the 2018 Silhouette Black Friday sale including sales and coupon codes for Silhouette CAMEO 3, Silhouette Portrait, Silhouette Mint, Silhouette bundles, vinyl, heat transfer, and all Silhouette accessories and software! This SALE only happens once a year and is THE BEST time to purchase a new Silhouette crafting machine. If you are looking for a new Silhouette CAMEO, there is no better time to buy than Black Friday. Both Silhouette America and Amazon have the best prices you will see all year long. We have been anxiously awaiting the news on what the sale would be this year and 2018 doesn’t disappoint! There are some great finds both for those who need a new Silhouette machine and those who just need materials, accessories, software or designs. These sales start the day before Thanksgiving and different sales will run through cyber Monday and throughout the next week. I am going to share all of the details I know with you here. Please note, that I am sharing the info given to me by Silhouette to the best of my knowledge and you will have to verify all deals with the Silhouette America website. Sale will run from 11/21-11/30. Discount Code PINNING will work for the entirety of the sale. There will be an early access period starting 11/21. —CLICK HERE TO SEE SILHOUETTE Black Friday Presale—You will need to use PINNING as coupon code to get sales during this period. There will be Daily Doorbusters each day from 11/22-11/30. Stock will be limited and when it is out the deal will no longer be available. You will need the coupon code PINNING at check out to access the deals. 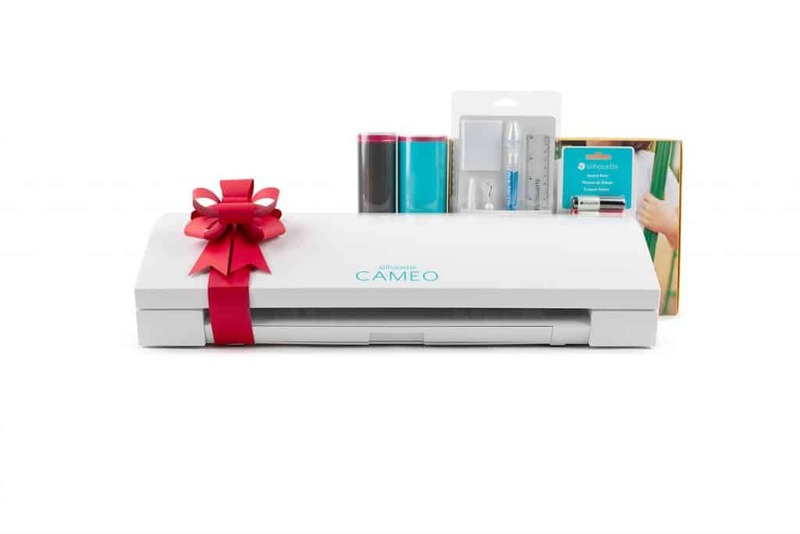 There will be several bundle options for Silhouette CAMEO 3 machines in multiple color options, as well as accessory bundles. Many deals will be limited stock so make sure if you want it, to grab it while you can. You will need a coupon code to get the best prices, and in some cases free shipping. USE CODE PINNING at check out. Don’t miss the section of extra deals beyond the machines. Silhouette has some great steals for people who already own machines each year! The official Silhouette Black Friday Sale will start for EARLY ACCESS at 8 am MST November 21. You will need coupon code— PINNING —to access the deals for the sale. Click here to see Early Access Silhouette Black Friday Sale! Starts at 8:00 am MST 11/21. Click here to access the main Silhouette Black Friday Deals! Starts 6:00 pm MSP 11/22. 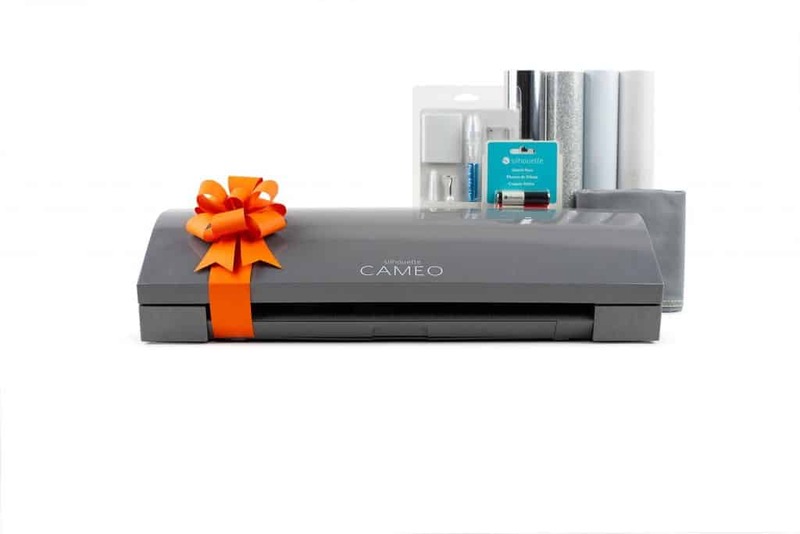 You can expect to see big savings for Black Friday on Silhouette CAMEO 3 bundles. These feature a cutting machine, and a variety of different options including materials, software, manuals, digital downloads, dust covers etc. The most notable thing I found was FREE SHIPPING on all of the Silhouette Machine bundles. This almost NEVER happens from the Silhouette website so it is big news and something to jump on! You can click here to access the all the details on the Silhouette Black Friday Sale. 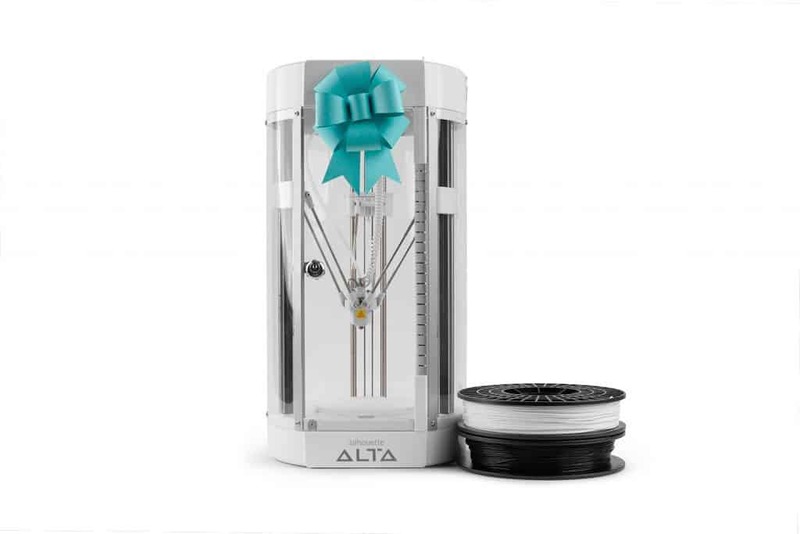 There are other deals available for Black Friday with the coupon code PINNING. You will find machines as well as bundles with just blades and materials only. Click here to see details about what is on sale for Black Friday now! Designs from Silhouette Design Store- These are often 50% off during the Black Friday Sale. Stock up on shapes, designs, svg files, etc. Digital Download Cards- You can many times get cards worth $25, $50, $100 etc for half price on the sale. 50% off- most things that aren’t packaged as a bundle will be 50% off during the sale if you have your eye on something specific! See Silhouette Black Friday Deals here! Use Coupon Code PINNING at Check out! New for 2018, Silhouette will be having door busters. Each day from 11/22-11/30 Silhouette will have a deeply discounted daily deal. I have been advised that quantities are limited, so if you want it grab it! And make sure and USE COUPON CODE: PINNING at check out for the best price. See Silhouette Door Buster Deals here! 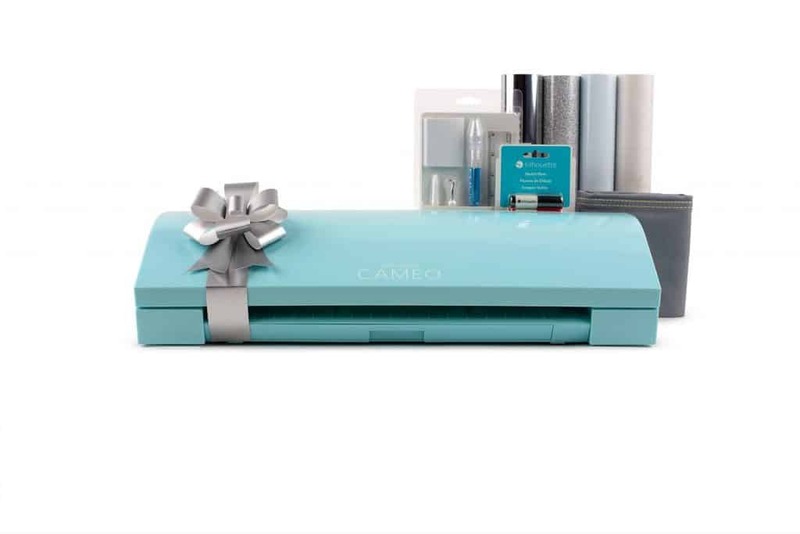 In the past it has been hit or miss on whether or not you can find a better deal on a Silhouette CAMEO bundle on Amazon or from Silhouette directly. This year with Silhouette doing free shipping on their machine bundles, I would be surprised if they aren’t the most competitive on the market. Some perks of getting a bundle on Amazon instead of Silhouette are getting the bundle with items that Silhouette doesn’t sell such as Silhouette School Guides to the Silhouette, other brand name materials, and more. You can check out all of the deals on Amazon Silhouette CAMEO for Black Friday here! Find all Black Friday Vinyl Deals on Amazon here. Check out Expressions Vinyl Black Friday Sales here. Thank you soooooo much Kimber!!! !